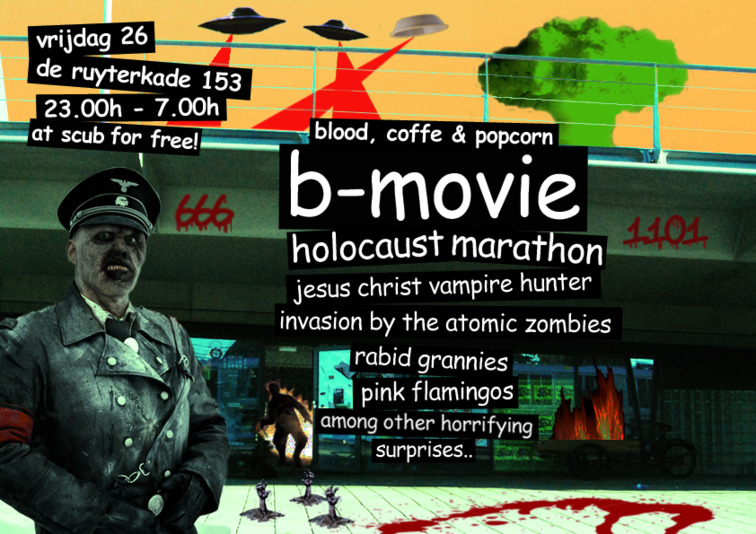 internet flyer de la b-movie comic sans holocaust marathon @ scub (amsterdam). Es comic sans lo que ven mis ojos? arrghh me sangraan!!! "the word 'holocaust' and nazi zombies in the same poster just for the sake of fun? you are fucked up". The photo has been viewed 1176 times.